Last week, I released “A Safer North County: My Public Safety Plan to Protect Our Communities” — a four-part plan geared toward solutions that will lead to safer neighborhoods throughout the 5th Supervisorial District. As an Oceanside councilmember, I have long been a believer that my first responsibility is to ensure our city’s residents are safe. I believe county government is no different. This increase in offenders has drastically added to the workload of our county probation officers. But it hasn’t ended there. With the implementation of the Reduced Penalties for Some Crimes Initiative (Proposition 47), and the California Parole for Non-Violent Criminals and Juvenile Court Trial Requirements Initiative (Proposition 57), these challenges have been intensified. Caseloads have piled up, but staffing hasn’t caught up. As a result, our probation officers are overworked, with many officers having larger case files than they can reasonably handle. This creates a situation in which offenders may not receive supervision — creating risks for certain neighborhoods. It’s time we work to rebuild our probation department. Second, it’s my goal to ensure we maintain a first-rate Sheriff’s Department. Our deputies operating on the front lines do an excellent job of keeping our community safe, and it’s important we continue dedicating adequate resources to the Sheriff’s Department. A big reason we’ve been able to operate such a great department has been our ability to recruit and retain the most qualified officers. This is the result of ensuring we have salaries that are competitive with competing local agencies. Accordingly, when it comes to negotiations, I will insist upon a salary survey of comparable local agencies to ensure we remain competitive. Third, as mentioned previously, changes to our criminal justice laws have created new challenges. AB 109, Prop 47, and Prop 57 were supported and implemented independent of each other. Yet, acting together, we’ve encountered new public safety issues and unintended consequences of these laws. Accordingly, I propose the establishment of a commission to study the impact of state criminal justice reforms throughout our county. Comprised of individuals from law enforcement, nonprofits, and the community, this commission would focus on studying the new challenges these laws have created, as well as opportunities on how to best ensure these reforms are working in a manner that protects public safety while still achieving their original goals. Finally, it’s important we work to protect our back-country communities from wildfires. We’ve had significant wildfires over the past 15 years — it’s important that we do all we can to prevent another disaster. Consequently, I’ll work to reduce firefighter response times, closely interact with fire chiefs and visit local stations, seek opportunities to capture funding for additional resources, and ensure county agencies work collaboratively on procedures and efforts to prevent future fires. If elected Supervisor, I’ll ensure my constituents and the men and women serving on the front lines have the public safety resources they deserve. 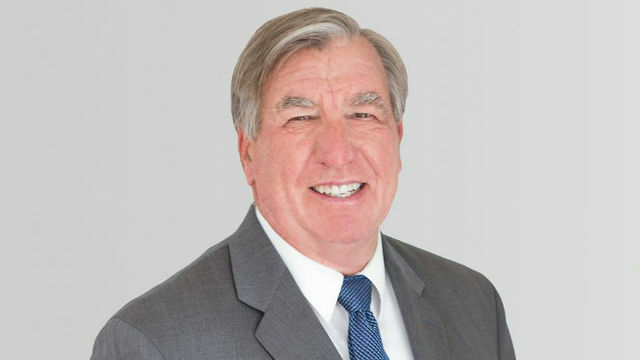 Jerry Kern is an Oceanside City Councilmember and candidate for San Diego County Supervisor in the 5th District. He is an Air Force veteran, teacher and founder of the Pacific View Charter School.